Traditional social surveys gather representative samples more effectively than Big Data because Big Data is not specific enough to investigate complex interpersonal social issues. In today’s era of Big Data, traditional social survey methods face a series of challenges. Some scholars hold the view that compared with the massive data collected by data mining technology, the information obtained by traditional methods merely represents “small data.” This has stirred academic debates over whether traditional forms of social surveys are needed in the Big Data era. Big Data technology has changed the way data is collected and understood, as well as the data itself. 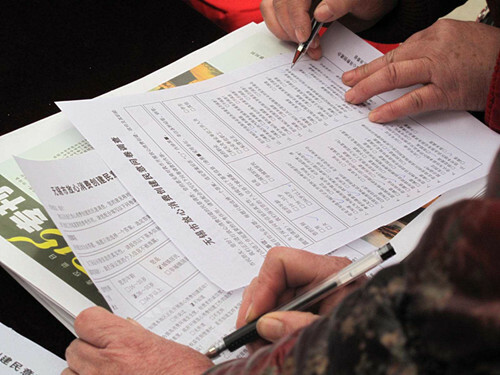 Du Haifeng, executive director of the School of Public Policy and Administration at Xi’an Jiaotong University, pointed out that the methods of information collection have shifted from interviews or surveys to methods that comprehensively utilize various technological devices, such as the Internet and multimedia. Tang Kuiyu, a sociological professor from the Harbin Institute of Technology, said the huge amount of interactive information provided by Big Data technology provides material for holistic analysis of social problems. These changes are laying a methodological basis for the integrated return of sociology to a focus on “social facts,” while challenging both traditional and in-depth interview survey methods. Although Big Data technology has prominent advantages in terms of information collection and analysis, some scholars disagree that traditional social survey methods will be replaced. Tang said Big Data technology has its limitations and cannot displace the value of traditional information collecting methods. Take sample surveys, for example. In some cases, sampling can gather the data and representative samples more effectively than Big Data, because Big Data is not specific enough to investigate interpersonal social issues with high complexity. One conspicuous characteristic of Big Data is “low value density,” meaning the data collected might not be relevant, thus failing to be tailored for specific research, Du said. Traditional social surveys are complementary to Big Data methods in data collection, and essential for specific studies. Even though information collection by Big Data technology is a form of general survey and is generally a form of non-probability sample, it does not mean that the Big Data does not have limitations. If the scope of Big Data information cannot be recognized or defined, then it is inadequate for research. Li Ding, a professor from the School of Sociology and Population Studies at Renmin University of China, said the Internet and smart devices cannot sense and record all social actors. It is necessary to know the coverage of Big Data or what kind of group the data represents, otherwise the research outcomes could be misleading. In addition, different enterprises and research institutes collect the data they need independently. Although the data has a large sample size, there are not many variables in each sample. If these different kinds of databases are not connected to increase variables or effective information of each of the research objects, then the research value is limited, Li said. Li also suggested that traditional social surveys are more effective in that they obtain high density information that is more targeted, designed and standard. Without the traditional methods, even the most capable Internet company might not be able to obtain a dataset from tracing data equivalent to a comprehensive social survey in China in terms of representativeness, credibility, validity, information density and variables, Li said. On the one hand, in the Big Data era, it is likely that researchers will be able to access to new knowledge of social actors and new rules of social functions from Big Data information. On the other hand, researchers should realize the limitations of Big Data and the advantages of traditional research methods to avoid blind worship of Big Data. Traditional social surveys still have both cost and scientific advantages in obtaining statistically representative data of high density. In terms of the binary opposition of the two research methods in academia, Tang argued that we should properly use the two methods according to different types and complexity of social issues. Future social science research might adopt both the Big Data method and traditional social surveys and make their respective advantages complementary to each other. Li suggested that traditional research methods and sample surveys could offset the deficiency of Big Data methods, helping us to understand the social meaning of Big Data. Big Data could also make up important information for traditional means of research. Qualitative research could attain more comprehensive understanding of its research subjects if the Internet trace data and social contact data are accessed based on established interviews and observations.